Hill Top A1 Auto Sales Inc. specialise in Cargo Vans, Passenger Vans, Mini Vans, Pick Ups, Box Trucks and Suvs. We offer E-Z Financing, Full Service, Extended Warranties, ON PREMISES DMV SERVICE and ACCEPT MAJOR CREDIT CARDS. Many vehicles in stock...Bins/shelves/roof racks available/removable...TRADES ARE WELCOME.. We are the all star,one stop van depot. 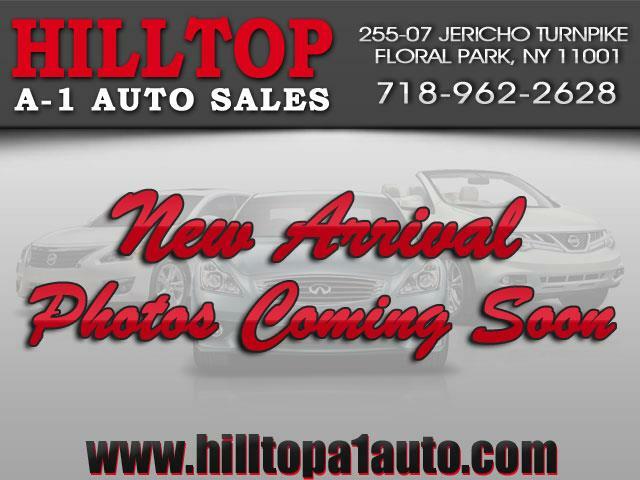 Come visit us at: Hill Top A-1 Auto Sales Inc. 255-07 Jericho Tpke. Floral Park,NY 11001 tel:(718)962-2628 Welcome to Hill Top A1 Auto Sales Inc. where excellent running, clean vehicles, and customer satisfaction are a number one priority. We have over 60 years combined experience. This is a family owned business and have been at this location since 1998. We have vans , mini vans , cargo vans , passenger vans , trucks, pickups , Chevrolet ( Chevy ), GMC , Ford , E150 , E250 , E350 , 1500 , 2500 3500 , utility bodies, box trucks , we install and remove bins , we have a full service shop , we are more than trucks for sale - we are the truck and van stop . we finance , we do NYS DMV work , we accept most trades , we accept most major credit cards. extended warranties , Please call 718 962 2628. We are not responsible any misprints or errors. No harm intended. ( Jericho Tpke , Jamaica Ave , NY , NJ , CT, MD , PA, MA , Route , RT, 46 , Fleet, Hillside Ave , Queens Blvd , Merrick Road , Rt 112 , Woodhaven Blvd , Sons , Levittown , Son . Sunrise Highway , 27 , 25 , 25a , Automotive , Depot , Northern Blvd , Curms , Hempstead Tpke , Curm , Remarketing , Long Island , Windsor , Blauvelt , Woodside , Brooklyn , Queens , Bronx , Manhattan , Statin Island , auction , Lindenhurst , Massapequa , Locks , Elmhurst , 2000 2001 2002 2003 2004 2005 2006 2007 2008 2009 2010 2011 2012 2013 2014 2015 ) 255 07 Jericho Turnpike, Floral Park NY, 11001 . Thank you in advance.